Have you ever owned the same vehicle as one of your S.O.'S? It seems to be a pretty rare thing, but I have. Back when my husband and I were just starting out (2009) I replaced my damaged 2005 Caravan 4-cyl. SWB with this beautiful (to me) 2009 Ranger that I should have never gotten rid of. It was a 2WD 5-speed 4-banger with rubber floors and very few options. 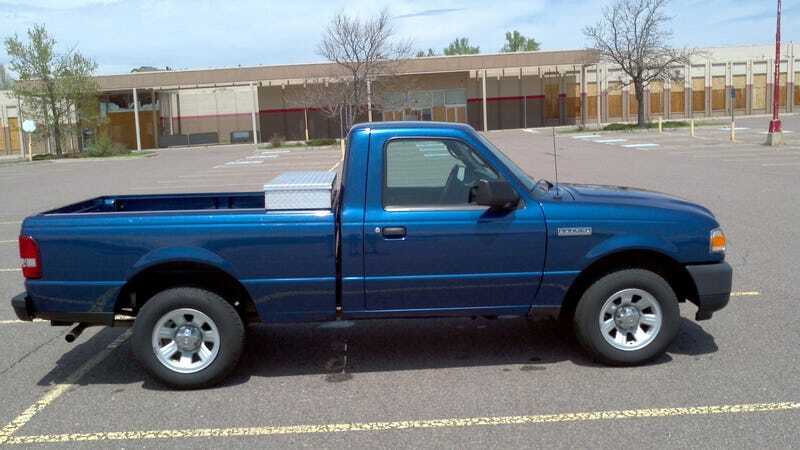 I found out later that he had owned basically the same truck, except that it was white and a few years older (so probably a different 4-cylinder). The best part of this story to me is that he bought his Ranger having never learned how to drive a manual and taught himself how to do it. And despite not being a car guy he taught himself very well. I let him drive my Fiat 500 once and I was blown away by how well he shifted, because he REALLY hates driving. He handled the 500 like a friggin’ rally driver. I’ve never wanted him more. Anyone else end up owning the same car as your girlfriend/boyfriend/etc. ?